CodeDay Chicago November 11-12 – 24hrs of coding fun! There’s a great event happening November 11-12 in Chicago – CodeDay Chicago! CodeDay (codeday.org/chicago) is happening in 22 cities nationwide is a great way to get kids coding by making it easy and fun! In 24 hours (yes, an all-nighter), middle and high school kids get together to code something awesome. It is specifically catered to youth who have never coded before, with a variety of workshops and mentoring that are meant to get beginners coding fast. It will take place November 11-12 in Technexus’ downtown office (20 N Upper Wacker Dr #1200, Chicago, IL 60606). See attached CodeDay posters and fliers. Students can use the promo code ‘CPS’ to get 20% off their tickets ($8 instead of $10). 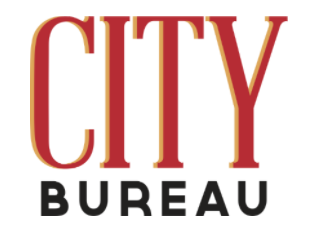 City Bureau’s First-Ever Design-A-Thon Oct. 14! Throughout August and September, City Bureau teamed up with ProPublica Illinois to scrape, standardize and share Chicago public meeting information from a variety of sources in an effort to more easily coordinate and deploy City Bureau Documenters out to document the city’s public meetings (think City Council, the Chicago Police Board, CPS, Cook County Board, etc). That process has been detailed in a blog produced by Darryl Holliday (editorial director and co-founder of City Bureau) and David Eads (chief nerd at ProPublica Illinois). But the project isn’t complete without useful public tools. That’s where you come in. Similar to a hack-a-thon, City Bureau’s first-ever design-a-thon is a FREE day-long event and training where students, designers, coders, journalists and community members will work together in teams to propose solutions to a single design challenge from a variety of perspectives and approaches. In short, they want to make a unique open-source tool that can be used by other journalism outlets, community organizations and civic groups to facilitate public oversight, civic discourse and independent watchdog projects in Chicago and beyond. Throughout the day they’ll host free trainings and give out City Bureau swag—at the end of the day they’ll announce winners and prizes for the best design. A 24-hour continuous design challenge focused on the intersection of computer coding, engineering design and fields related to health and wellness. Educators, professionals, and administrators, are you interested in volunteering to support the event? Opportunities are available. We encourage parents, educators, and administrators to volunteer and observe what the Hack is all about. If interested in volunteering, please contact tlrogers about opportunities. For questions, feel free to email or call 815-753-2090. Please encourage your student’s to attend as this is one of the only events associated with Major League Hacking in the mid-west which is open to students in middle school and high school. The power of “Why?” should never be underestimated. ChickTech Chicago is a local non-profit dedicated to getting more girls and women into technology through hands-on workshops. Our High School program provides monthly tech workshops and mentorships from industry experts to 100 high school girls in their sophomore and junior years. This year’s program marks our 3rd year in Chicago providing free STEM education and mentoring to young woman, and will kick off on November 18 & 19, 2017 at Columbia College Chicago. Our nomination form is at https://chicago.chicktech.org/high-school/(you can self nominate). You can also review more program details and this year’s kick-off communication timeline. We have extended our deadlines for nominations to October 16th. If you have any questions, please feel free to contact Valerye at valerye.antantis.